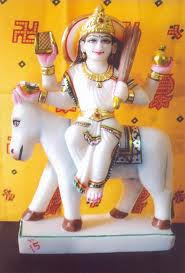 Shitala Satam Vrat2013 Coming Date(After Randhan Chath) will 27 August 2013 in Gujarat and india and Gujarati Month in Shravan vad Satam or Day of Seven. 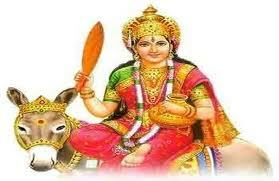 Shitala Satam Vrat is observed in the month of Sravana on the seventh day of the dark fortnight. 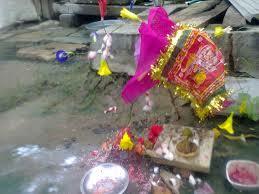 On this day Shitalamata’s puja is performed after taking bath with cold water. One cold meal is eaten during the day. 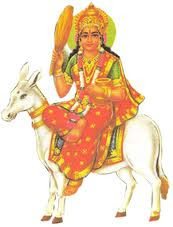 Shitala Satam, popularly known as Shitala Shasti, is dedicated to Goddes Shitla. the goddess of pox and measles. It is observed for the welfare of children and others and to escape from measles and small pox. In the olden days, Hastinapur was ruled by king Indralumna. His wife’s name was Pramila who was full of faith and devotion and was keen on performing religious ceremonies and rituals. 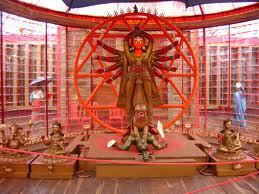 They had a son, Mahadharma by name and their daughter’s name was Shubhakaari. She was given in marriage to prince Gunvaan, son of king Sumati who ruled Kaundinyanagar. Prince Gunvaan lived up to his name. He was a virtuous prince. A year after the wedding, Gunvaan went to his in-laws to fetch his wife. 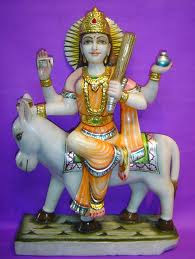 The king (his wife’s father) asked his son-in-law to stay over because the next day was the day of Shitala Saptami vrat. 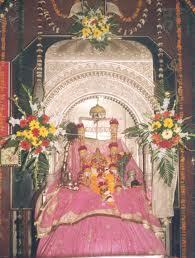 The king invited a Brahmin and his wife for the ceremony of Shitala Saptami vrat. 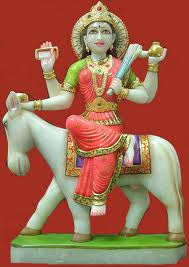 The king’s daughter Shubhakari mounted a chariot and with her female friends set out for the puja ceremony of Shitaladevi. The puja was to take place by some lake. Unfortunately, they took a wrong turn and got lost. Leaving the chariot, they started walking on foot, and dispersed in different directions. Princess Shubhakari was overcome by fatigue and sat under a tree. She saw an elderly woman approaching her and asked her for directions. “O girl, follow me and I will lead you to a lake” said the old woman and took them to a lake. 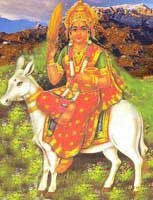 The princess bathed in the lake and with devotion and faith, placed the image of Shitaladevi on a makeshift platform of stone. 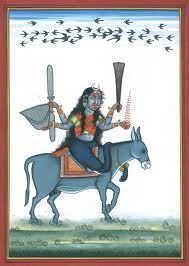 The old lady was herself Shitaladevi. She was well pleased. Placing her hand on the head of Princess Shubhakari she asked her to state her wish. The princess said: “Mother, I shall surely ask when the need arises”. Then the old lady (Shitaladevi) escorted the princess and her female friends to the lake where they were to meet the Brahmin and his wife. The Brahmin’s wife was heard crying aloud. Princess Subhakari went to her and saw that her husband was lying dead, apparently bitten by a snake. Princess Shubhakari again bathed in the lake and concentrated her mind upon Shitaladevi and stated her wish: “Mother, please bring back to life this Brahmin”. 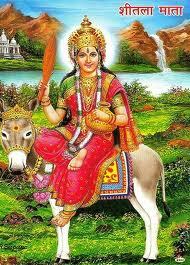 Bhagavati Shitaladevi was pleased and restored life to the Brahmin. Everybody was full of joy. 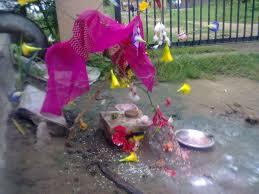 They all performed Shitaladevi’s puja and returned home. People of Hastinapur were filled with awe on hearing that the dead Brahmin was brought back to life. 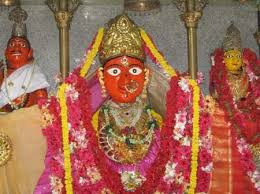 The citizens together with the parents of the princess made a murti of Shitaladevi and celebrated this day in the manner of a festival. After staying for a few more days, Princess Shubhakari went with Prince Gunvaan to her in-laws. There also, being impressed by Shitalamata, they developed faith and devotion. 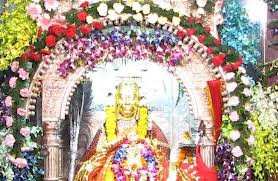 It is said that the children of those who are Shitala vratdhai (who observe this vrat) do not suffer from smallpox and that their wishes get fulfilled.